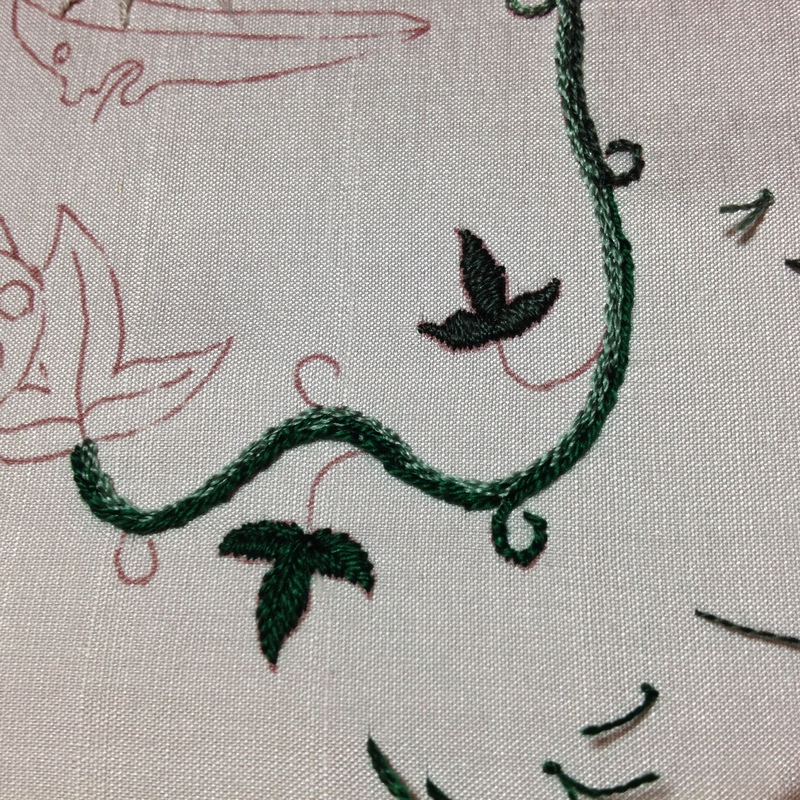 I thought that it might be a good idea to do a small leaf in each of the greens, not just to help with identifying which colour might work best, but also to help me decide how to do the embroidery of the leaves themselves. 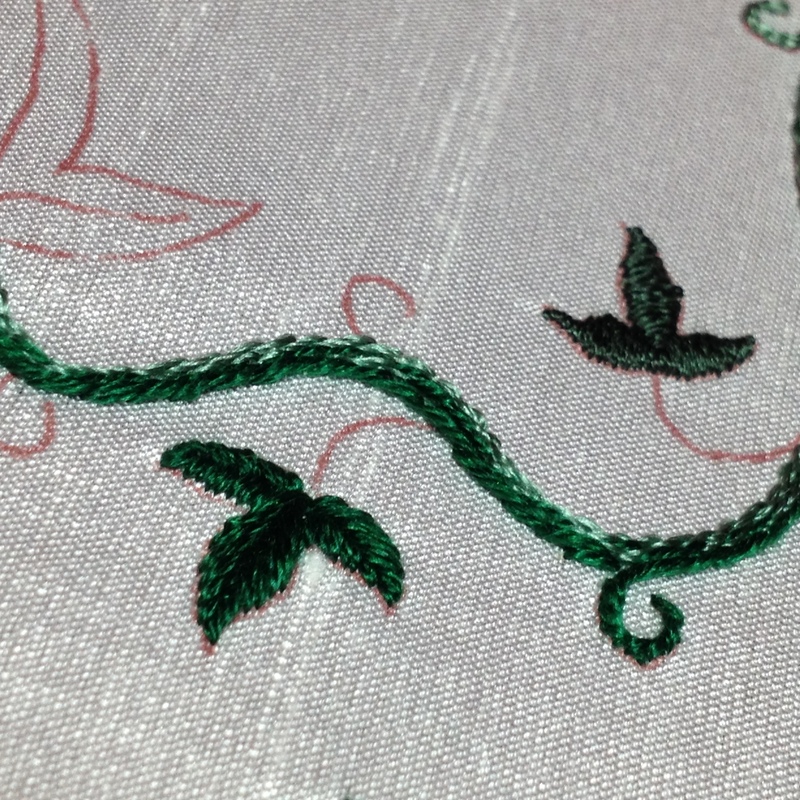 I have decided on a fishbone stitch, which is probably the easiest way to do leaves of this size. Here, you get a better handle on the greens, even if they are a little fuzzy.